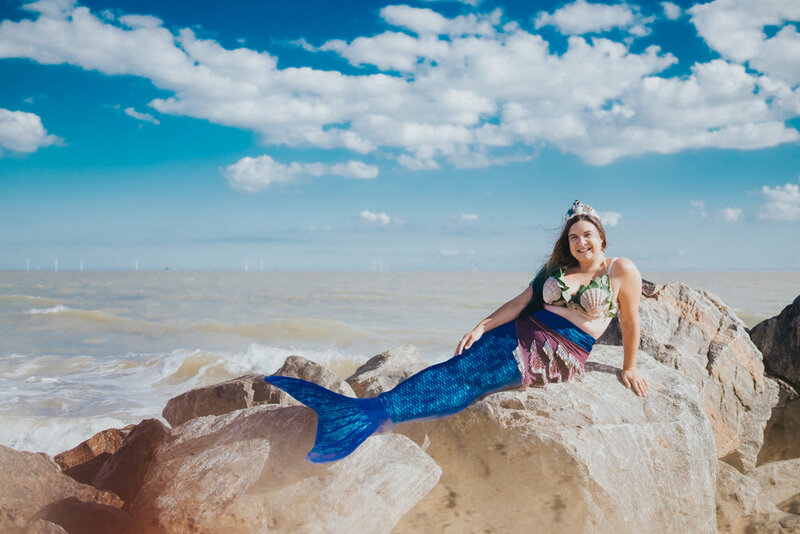 Carla had the idea of creating a body positive shoot on Clacton beach with her mermaid friends, to promote body positivity and loving the skin you're in. 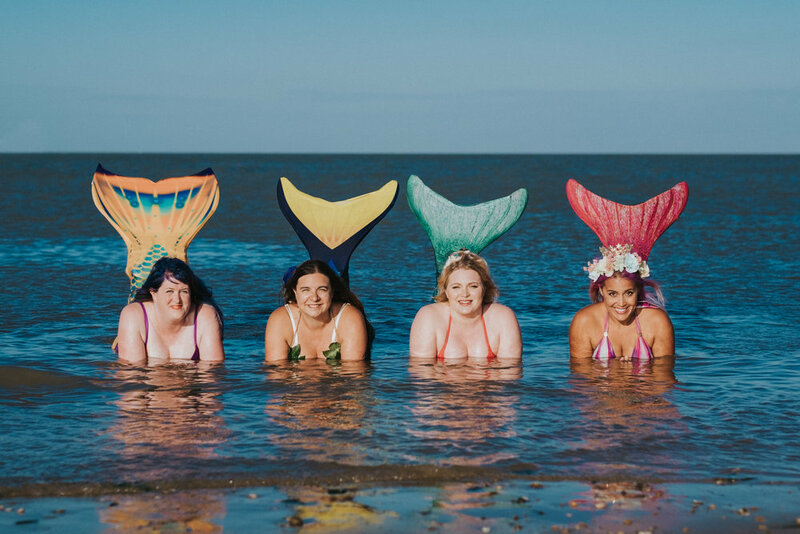 When she told me about the idea, I was so up for it! 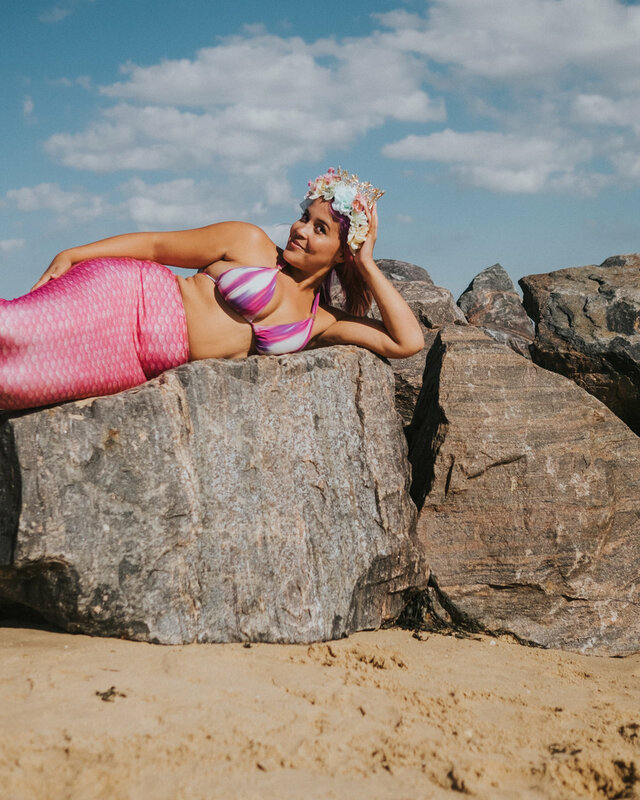 In a day and age where social media gives us unrealistic expectations of 'perfection' we thought it was so important to challenge the media and produce a shoot that was totally fun, proving that any body shape or skin tone can be a fan flippin-tastic mermaid. 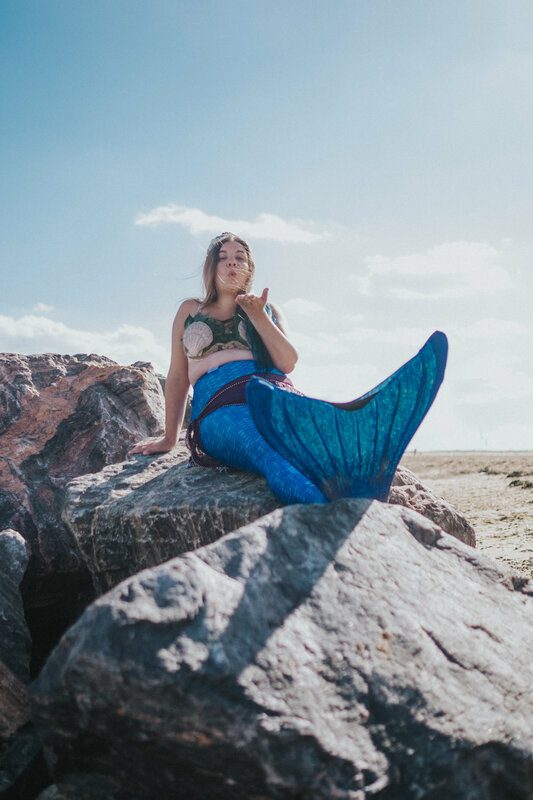 Kerenza Sapphire invited along The Mermaid Playground, and the infamous Megan Crabbe (known as BodyPosiPanda) and the Vagaggle to take part in the shoot, and it was SO MUCH FUN! I'll leave you with some of the photos from the day, and yes, this is just a few of them! I hope you'll enjoy! 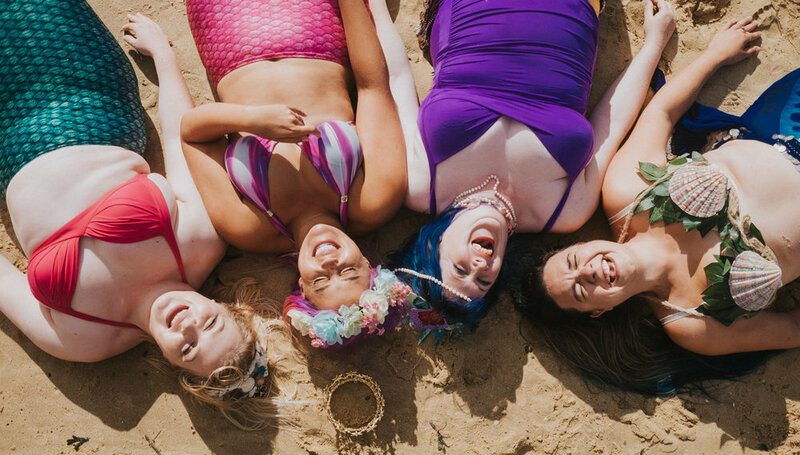 As always, if you're not fed up of me yet, you can join my newsletter, here, too!